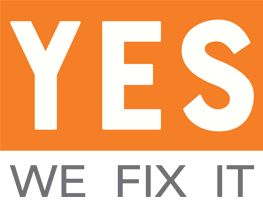 YES WE FIX IT was founded by people who love technology and know all about it. With 15 years of experience in the industry, we recognize the great need for fast, economic and reliable repairs and that’s exactly what we offer! All of our technicians go through an intensive training process and we maintain an environment of constant learning, so we can handle even the most demanding Smartphone, Tablet, Laptop and TV repairs. YES WE FIX IT believes in the simple truth that quality work produces growth and success. In other words: we love our job! This gives us all the energy we need to handle even the most demanding repairs. Every single day we do our best to offer you quality service in a speedy manner. We are happy to make you happy! We are constantly ready for new challenges that come our way. Our aim is to offer you the best experience. If you’re not sure what’s wrong with your device, we would be happy to diagnose it for free. Once we determine what is needed for your repair, we will contact you with an obligation free repair quote. You can select to continue with a repair, or not, the choice is always yours. Our best price guarantee ensures that we always offer the best price to our customers. Just bring in any local competitor’s published price for the same repair, and we will happily match and beat their price by $5. Note, the repair price must be a regularly published price, and the offer does not apply to specials, coupons or other discounts. Most of our popular repairs can be performed in just 20 minutes, right in front of you! We know how important your device is to you, so we promise to return it to you as quickly as possible, and keep you informed every step of the way. The expertise of our technicians combined with our quality services, give us the opportunity to offer you life time guarantee for most of our repairs. Our team operates in line with strict data protection and privacy guidelines, so that you can rest assured that you your device is in safe hands. 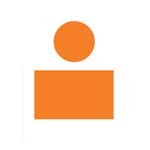 We offer up to 100% discount for 2 or more repairs performed on the same device. The repair was made right in front of my eyes very quickly. Perfect service, incredible price. Very quick service, very kind personel and a great variety of accessories! Fast and economic service.. I highly recommend them. Very pleased in all respects. Within a few hours, my cell phone, which needed many repairs, was like new and at low cost! Communication and service were perfect!